After missing all of last season with an ACL injury and the first 4 games of this season due to suspension, we wondered if we would ever see the old Edelman again. Well folks, looks like there was nothing to worry about. Edelman balled out in the playoffs this year, hauling in 26 catches for 388 yards and going on to win a very well deserved Super Bowl MVP. 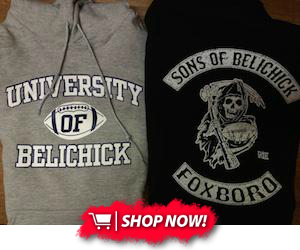 Edelman has always come up big in the clutch, whether its the game winning touchdown against Seattle, or making the phenomenal catch against the Falcons. While he didn't have any circus-type catches this year, Edelman came up clutch with consistency. He brought in 10 catches for 141 yards and really seemed to catch the Rams off guard with his quickness and route running. He seemed to be open all over the field and often capitalized with big chunks of yards after the catch. While his performance will be the highlight, I think his personal story of coming back from injury and then suspension is really inspiring. “My head was down, just trying to go out and try to win ball games and help the team. It's pretty surreal,” Edelman said. “Tough times don't last. Tough people do. I preach that, and I guess you have to live to it." 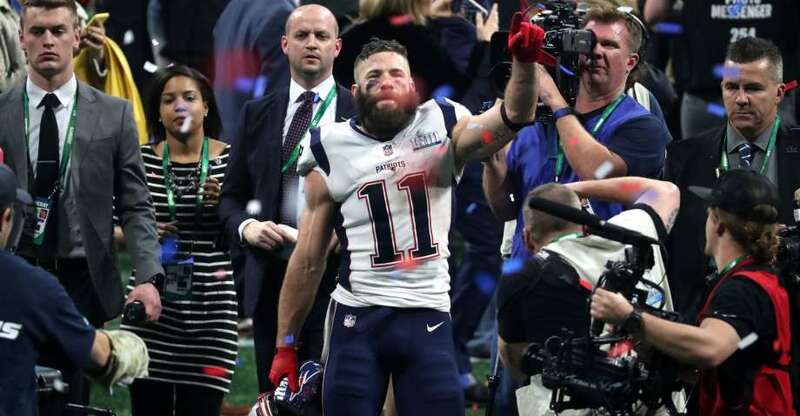 While he is certainly happy about getting MVP, Edelman believes it should go to a different group of guys: “The defense was unreal holding that offense to three points,” he said. “It is pretty crazy. They should be the MVP – the whole (defense)." The Patriots' season was far from easy this year, but they hung in together as a team and while it wasn't perfect throughout the playoffs, they made the right plays when they needed to and pulled out with their 6th championship. Unreal.